Blockchain is amongst one of the most promising emerging technologies of our time. 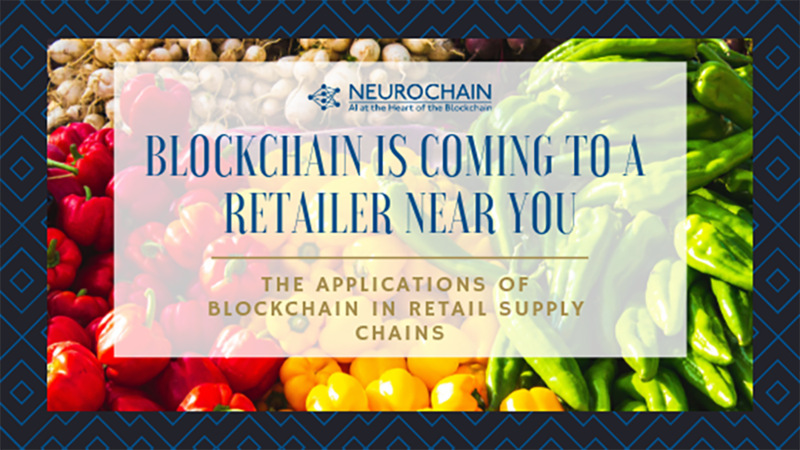 In the retail industry, blockchain technology addresses a number of challenges that retailers currently face; it can be used in the retail supply chain to verify the authenticity of the products, to accept cryptocurrency as payment, and to address product recalls efficiently. In today’s highly competitive retail market, offering something that other retailers don’t could increase brand awareness and lead to more sales. Product authenticity is a growing concern, especially for high-end retailers. For example, customers want to know that the diamond ring that they are buying contains real diamonds and that the diamonds were sourced ethically. Similarly, customers who purchase organic and ethically-sourced foods want to know the chemicals that the farm used and how the animals are treated. By offering blockchain-based applications for customers to scan the barcode and verify pertinent information about a product, retailers can stand out from the crowd. Location Manufactured: If retailers claim their product is locally-sourced or ‘made in the USA,’ the customer will be able to verify this information. Chemicals Used: Manufacturers that participate in supply chain transparency efforts log all of the chemicals that they use. This will substantiate claims that a product is free of harmful chemicals. Shipping Records: Shipping records track the movement of a product from the manufacturer to the retailer. It can ensure that the item that left the manufacturer is the same that arrived at the retailer. Storage Conditions: Proper storage conditions are essential for perishable goods. In conjunction with the Internet of Things (IoT), blockchain stores data from thermometers and humidity sensors located in the storage containers. 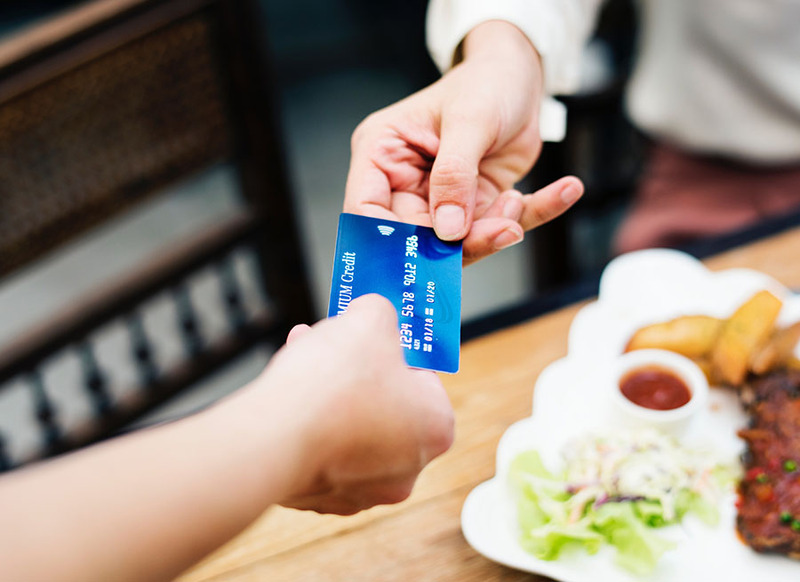 You may have noticed that some local and online retailers are now accepting Bitcoin as a form of payment for goods and services. Despite their high volatility, Bitcoin and other popular cryptocurrencies, such as Ethereum & LiteCoin, are increasingly being accepted at more and more retailers. Microsoft allows users to deposit Bitcoins to their online Microsoft account to purchase games, movies, and apps. DISH Network is the leading satellite television provider in the United States and started accepting bitcoin for their content services in 2014. PayPal partnered with Braintree to allow merchants to accept Bitcoin on their websites through the Braintree payment systems. Overstock is an online retailer that sells discounted home goods. The company accepts Bitcoin, Ethereum, Litecoin, Bitcoin Cash, and eight other cryptocurrencies. Why Don’t More Retailers Accept Cryptocurrencies? The blockchain protocols that power popular cryptocurrencies such as Bitcoin and Ethereum take a significant amount of time to verify. In fact, a single Bitcoin transaction takes about 10 minutes on average, making it inefficient in consumer retail. Imagine waiting in the checkout line at Walmart for 10 minutes while the person in front of you waits for their Bitcoin transaction to verify. But why does Bitcoin take so long to process? Bitcoin’s long transaction times are the result of a poorly designed blockchain protocol – specifically the proof of work consensus protocol. A consensus protocol is a way in which transactions are verified, and new blocks are added to the blockchain. The proof of work consensus protocol requires that ‘miners’ manually verify each transaction. Hundreds of miners compete to be the first to validate the transaction successfully. The miner receives a small percent of the transaction in exchange for the validation. Since there are hundreds, or perhaps thousands, of miners but only one is rewarded, the proof of work consensus protocol is exceptionally inefficient. Will the Speed of Cryptocurrency Transactions Improve? Considering that VISA processes 1,667 transactions per second, cryptocurrencies have some catching up to do. The speed of the transactions ultimately comes down to the efficiency of the consensus protocol. The Proof of Involvement & Integrity (PII) consensus protocol may significantly increase the transaction speed. The PII consensus protocol is currently being developed by NeuroChain, and they are scheduled to release the protocol in January 2019. NeuroChain’s PII consensus protocol exponentially speeds up transaction times by integrating machine learning and artificial intelligence, creating NeuroChain bots. The bots act as validators, replacing the need for miners. There are about 4000 – 5000 product recalls in the United States each year (Source1). For each product recalled, there may be millions of individual units that need to be taken off the shelves or serviced. The most recent product recall occurred last week in Minnesota. 212,000 pounds (96,161 kg) of pork and chicken products were recalled due to the possibility that the meats had been contaminated with salmonella (Source 2). To track down every possibly infected meat product, grocery stores in 7 states will have to check the lot number on every product received from the manufacturer. The grocery stores will have to pay for the extra labor and the opportunity cost of accomplishing other tasks. A blockchain enabled system would ultimately save retailers time and money by reducing the time and labor required to identify recalled products. In regards to the salmonella contamination case, the manufacturer would be able to tell in real time exactly which stores received contaminated units. Because blockchain is a distributed ledger, the individual stores would also be able to know if they had received infected units. Grocery stores that are equipped with blockchain-based inventory management systems could see how many units are still in-store, how many units had been sold, and where the units are located in the store. This reduces the need for every single grocery store to check every unit received from the specified manufacturer. Additionally, the grocery stores would be able to directly inform customers about the recall if the customers checked out using a loyalty program.